Altcoins are – and have been for quite a long time – a circus. It’s honestly quite ridiculous. I grew up on the internet, around some very odd – disturbing even – places. 4chan is a real place on the internet, and its denizens are a cynical and twisted bunch. But sometimes these days, it’s hard to tell the difference between those memories of humorous – if politically incorrect – message boards and a community that seems to think it might be on to something incredible. Bitcoin is amazing – altcoins are, at base, attempts to improve upon it. So why is it that 4chan and the BitcoinTalk altcoin forums are in some ways nearly indistinguishable from each other? No clue, aside from that they’re drawn from the same audience of young, upper-middle-class, mostly white, mostly male sectors of the population. But what I do have a clue about is what it results in. Chaos. Complete and utter chaos. Even circuses have ringleaders – not the case here. The Blocknet is an exciting project, the goals of which can have impressive real-world implications. It can create a system that can be built upon gradually that would allow for singular innovative features to give a coin value in ways that don’t yet exist. It’s, as the developers say, the internet of blockchains. And it’s spearheaded by one of the best (and best-known) developers in the altcoin community, Dan Metcalf. And it’s been under assault. Such an assault, in fact, that the Blocknet ITO (Initial Token Offering) is likely to not even make it to the minimum 800 BTC required for the ITO to reach launch state – resulting in a refund for all those involved. This would be a sad event – a very interesting idea with a lot of potential, a variety of communities and developers behind it, dead before it can even launch. One would hope it would be relaunched in this case, but it’s impossible to know. But for now, let’s look at what happened that caused this. 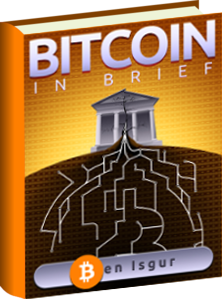 The short answer, as the story has been told by Arlyn Culwick, the PR and Media liaison for XCurrency, who has also been working with news outlets and journalists to cover Blocknet. 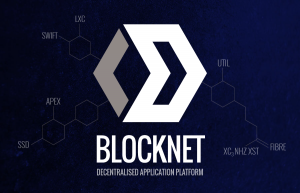 Blocknet is not officially supported by XC, but they do have the same developer, and the two are relatively closely tied. A few major holders of SDC, a coin that was to be involved in Blocknet but decided not to be, plan a multi-pronged FUD attack against Blocknet. This attack was easy to pull off for a few reasons. First, IPO’s (ITO, but same thing) are difficult to trust in the cryptocurrency community. A lot of scams have been run that way. So throwing just a little bit of doubt onto one is good enough. Second, the Blocknet IPO is on a very short timeline of just one week, and requires 800 BTC (about 30% of the total offering) to be purchased in order to launch. So a little Fear, Uncertainty, and Doubt, even if it’s not well supported by evidence, can be enough to cripple the launch – they only need to influence potential investors for a few days time. Other evidence seems to indicate that while Dan & Prometheus have interacted, and Prometheus is perhaps not the most savory individual, their relationship has not been illicit in nature. To put it another way, Dan is clean, Dan & Prometheus are clean, Prometheus is suspect. It looks bad, but is it bad? That’s for the court of public opinion to decide. My view? No. But the real question is how the Blocknet team is going to handle the situation. My suggestion to them: extend the ITO under the following terms, if you believe this FUD can be quickly cleared away. Put up Sell Walls at the original ITO end date at 0.00025500, changing the ICO price to be 2% higher for ITO latecomers. Put up Buy Walls at 0.00025250, offering anyone who now wants to exit a 101% refund as a show of good faith. That’s a standard disclaimer that you’ll find at the end of many of my articles. In this case it’s hardly relevant, though–the worst case scenario for a Blocknet investor is a full refund. almost 3/4th of these posts are by Spoetnik and anyone who knows anything about btctalk knows he has no relations to any coin team and fuds about everything so to blame it on SDC is very disingenuous. Apparently someone is new to crypto here. I couldn’t tell you who for sure. The author perhaps? I don’t know, and I don’t care. The fact is that FUD is part of the game. In previous more honest markets (before our government turned into complete whores, and our laws bent around backwards to inhibit growth in every sector of our economy) FUDDING was more than just smack-talk from behind a monitor, it was a SURVIVAL TACTIC! It’s called “COMPETITION” and will exist fairly, and unfairly as long as we have the balls to take it as it is. The difference between those by-gone markets and today is that you can CHECK AND VERIFY TO FIND OUT IF THERE IS ANY TRUTH TO THE ACCUSATIONS MADE! I really wish more people in crypto would just GTFU, put on their big-boy/big-girl pants, and just get in the pit with the rest of us. It’s not pretty (and I hope it never really is) but as I said, there are resources throughout the crypto-sphere that you can use to find out exactly what IS going on without the need for regulation, or official bodies to tell you what is what.